Usually, when economists make the case for the futility of price controls, they’ll stress the impossible information problem involved. If it was just a matter of regulating 5 or 10 key commodities, bureaucrats might have a fightin’ chance. But as the number of products to be price-fixed grows, the task facing a Central Planner becomes quickly unmanageable. It isn’t possible for a bureaucracy to know enough about the crazy number of products for sale in a modern economy to reasonably approximate a workable price for each one. Information about the “real” value of a good to society is dispersed through the preferences of millions of people, no bureaucracy can accurately capture that kind of information. The idea that a government bureaucracy can know enough about that many things to price each of them “correctly” is self-evidently ludicrous…and that’s before you even start getting into different makes, model years, parts suppliers, etc…not to mention, y’know, the rest of everything that’s on sale in a modern economy. 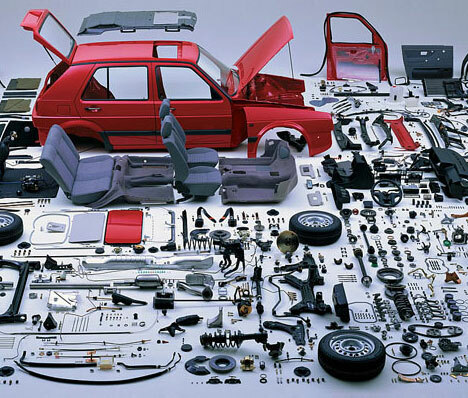 Car part pricing is a paradigmatic example of why Central Planning fails. Some part prices will inevitably be priced too high, creating gluts, others inevitably will be set too low leading to…say it with me now…shortages. And so…guess which product category Sundecop is struggling to fix prices for one by one?